Here are Grenada attractions not to be missed during your vacation! When you arrive on the island of Grenada you will be delighted with the many attractions and Grenada points of interest for you to visit. You can decide to visit places of historic interest such as Fort George and the Grenada National Museum or you can venture into the tropical landscape and visit Seven Sisters Falls or Annandale Falls where you can take a dip in one of the many pools. Another interesting Grenada attraction is the Grenada Underwater Sculpture Park where you will scuba dive or snorkel amidst life-size figurines. You can purchase your favorite spices at the open-air Market Square or view incredible Caribbean art at the Art and Soul Gallery. No matter what you choose you will be enthralled with the many Grenada attractions available. Hiking in one of the most beautiful spots on the planet is an activity not to miss in Grenada. 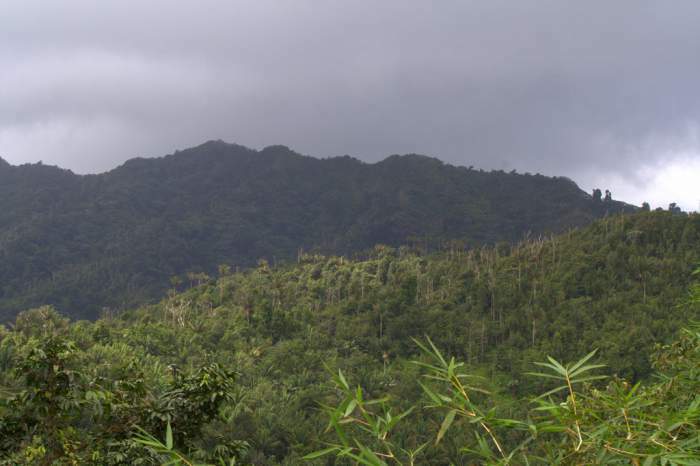 The Grand Etang National Park offers a tropical rainforest, nutmeg groves and stunning views from the highlands, a definite Grenada point of interest. 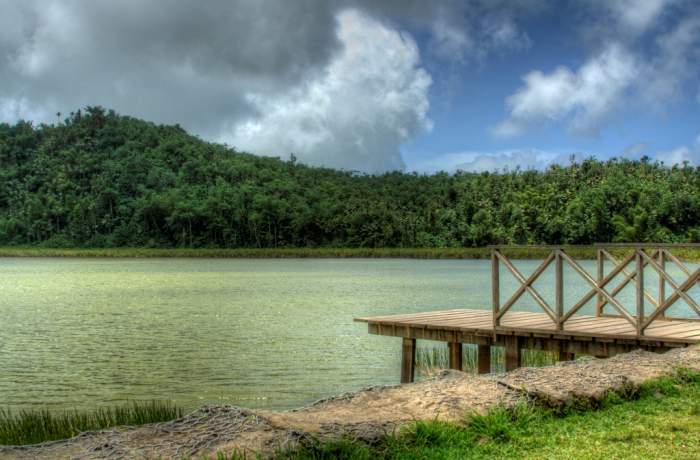 The Grand Etang National Park is a popular Grenada attraction, dominated by a huge crater lake that gives it its name. There are a number of walking trails, ranging from short and easy to long and tricky. Take the one that suits you and your group. The guides at the Visitor's Center will be happy to advise. If you prefer not to walk too far, enjoy the local monkeys at the Center and settle down for a beverage and snack. If you decide to walk, look out for hawks, massive Mahogany trees, armadillos and lizards! Visit a little piece of paradise! The Grand Etang Lake is found in the crater of an extinct volcano and visiting this magical Grenada attraction is one of the best activities on the island! The crater is filled with glorious aqua water with loads of waterfalls and creeks that flow directly into the lake making this a fantastic place perfect for exploration. Spot a multitude of bird and wildlife, from brightly colored reptiles to Mona monkeys snacking on tropical fruit. Take the Grand Etang National Park Tour and stroll along the trail around the lake. Do not forget your towel, in case you fancy a dip in the natural water below a stunning waterfall! Nature lovers, if you get thrilled by the sight of water crashing down rocky terraces, a visit to the Concord Falls - a popular natural attraction i Grenada, is the next stop. The first waterfall, the Concord, greets you as you enter the Reserve. It cascades downwards for 35 feet into stunning pools below. If you are brave and fit, take the winding path and handrails and explore further into the reserve to discover two more waterfalls, the Fontainebleu and the Au Coin. The hike takes about an hour and you will be rewarded by a fabulous scenic trek past large boulders, through hidden creeks and under massive overhead trees to find a stunning clear pool where you can swim and cool down under the final waterfall. Sipping some age-old Rum made entirely from sugarcane is the iconic activity in Grenada. Rum and Grenada go back centuries and the River Antoine Rum Distillery is the oldest on the Island. Take a tour and learn how this famous beverage is crafted. It has been produced here since 1785. Watch the water wheel as it compresses the cane, see the boiling, fermenting and distilling processes. The owners stay true to the age-old tradition, producing some of the finest Rum in the world. After your educational tour, relax and sample the Rum. There are two strengths, one for sale and one that is so strong, it is illegal to take home! If you enjoy a little nutmeg in your Eggnog at Christmas time, De La Grenade Nutmeg Garden is a fun attraction in Grenada. Being famous for spice export worldwide, Grenada is well known as the 'Isle of Spice'. Be introduced to the benefits of Nutmeg, both medicinal and traditional. Treat your sense of smell to the rich scents that surround you as you walk through the herb, fruit and spice gardens. Gain an insight into processing at the plant and how the spices are exported all over the world. Taste some wonderful syrups, jams, beverage concentrates and local Le Grenade liqueur Ð which is delicious! Make sure you purchase some to take home with you. Treat your nose to some of the most delicious scents on the island. A great Grenada attraction is the Smithy's Garden/ filled with spice and vegetable plants and tropical plants. Stroll through the gardens lined with fruit-bearing trees and colorful flowers. Some of the fruit trees you will come across include banana trees, avocado trees, and even sweet sugar cane. 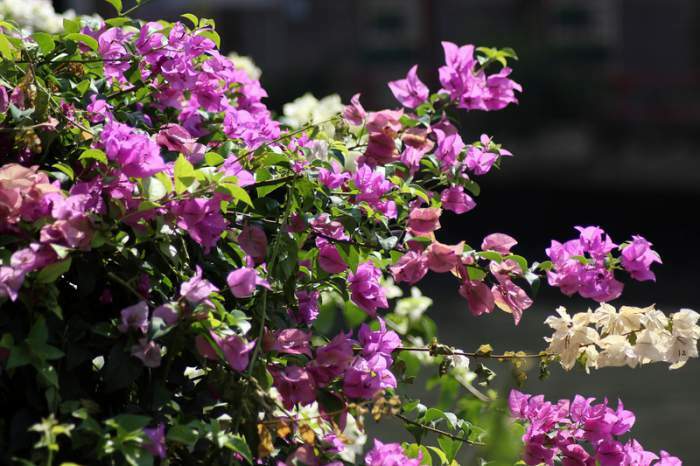 Look out for the national flower, the beautiful bougainvillea. The Garden is split into the old and new section, where the new section is still recovering from the destruction of Hurricane Ivan in 2004. Take the Grenada Spice Garden Tour and be introduced to all the gems the Smithy’s Garden has to offer. Be dazzled by some of the most beautiful plants in the Caribbean. 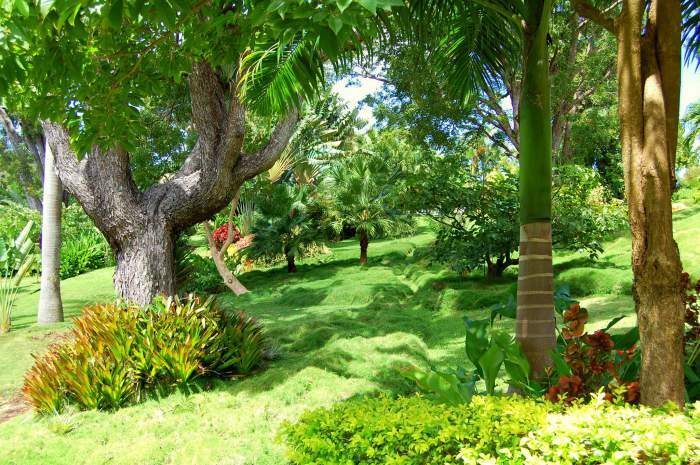 One lovely Grenada attraction - Sunnyside Garden, located in St. Georges, is a private 5-acre garden that contains some of the oldest mahogany trees in Grenada. As you stroll through the gardens, the cool ocean breeze will caress your face with the towering mountains as your backdrop. Get your camera out and snap pictures of the Japanese fish ponds, tropical flowers and wonderful fruit trees that call this Eden home. 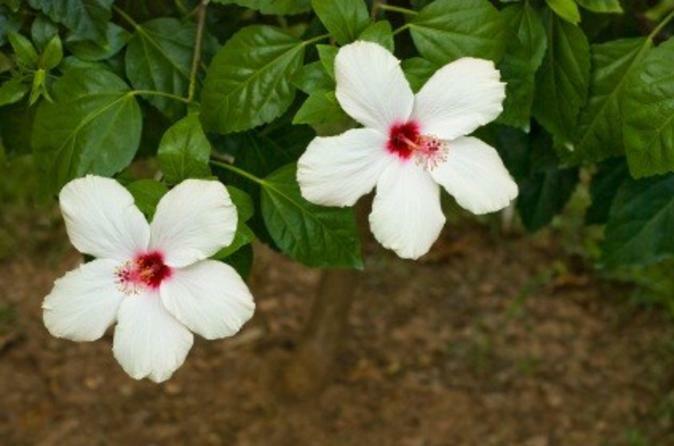 Look out for little hummingbirds sipping on nectar and large tortoises snacking on hibiscus flowers. Walk around on your own or join a tour with a knowledgeable local guide. Take time to explore the buzzing waterfront of St. George, The Carenage - another famous Grenada attraction. Spend a day in the warm sunshine along the harbor, buzzing with activity and lined with buildings from the colonial era. Head down to the promenade on a Saturday morning and enjoy the morning market and shop your heart out with stalls selling local crafts and produce, a fantastic thing to in Grenada. Pick up a souvenir or two for those back home or have a bite to eat at one of the fantastic restaurants on the waterfront. Travel back in time and visit Fort George built in 1705 and take in the breath-taking views of the harbor. This is one of the best Grenada points of interest to check out! Fancy a little time out? Spending a day on Carriacou Island is one of the most fun activities in Grenada. The crystal clear waters will quickly reveal why the island is known as 'The island surrounded by reefs'. Spend a day snorkeling or scuba diving around the wonderful, colorful reefs of this fun Grenada attraction filled with rich colorful marine life. After you are all scuba and snorkeled out, relax on the pristine beaches and soak up the glorious Caribbean sun. Enjoy a late lunch in Hillsborough, the only town in Carriacou, while listening to locals performing music. Historians must visit the town museum loaded with historical artefacts. A great day out! Are you fascinated by all types of birds? La Sagesse Nature Center is the Grenada attraction for you! 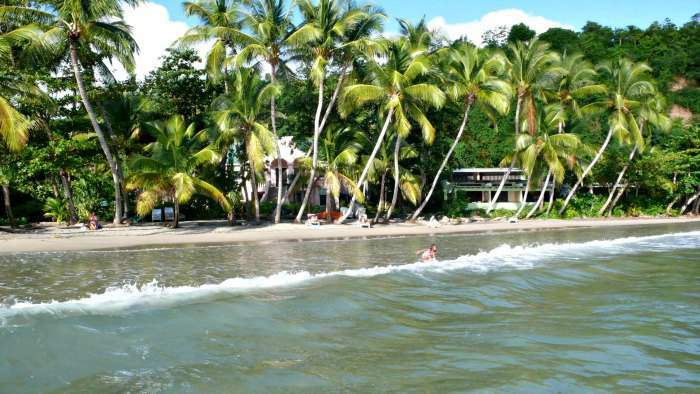 It's an area, surrounding the boutique hotel and restaurant, also called La Sagesse Nature Center, located on La Sagesse beach - one of the most wonderful natural beaches in the Caribbean and an ideal area to wander and explore. There is one salt pond located off the end of the beach and a mangrove on the river that flows to the bay. Take the Grenada Island and Beach Tour, a highly recommended activity in Grenada and explore La Sagresse Nature Center that occupies the space of a former plantation. Discover this eco-paradise filled with birds including coots, egrets, herons and flycatchers, particularly enjoying the calm mangroves and salt ponds. Wander along hiking trails, getting lost in the tropical scenery. Arrive at a deserted, hidden unspoiled beach and soak up the warm tropical sun or wade in the crystal waters. End your day at a beachfront restaurant and enjoy local cuisine under swaying palm trees as the sun kisses the horizon. Being captivated by two people rhythmically stomping cocoa in a massive copper pot, to the beat of a drum, is a thrilling activity in Grenada. Visiting Belmont Estate - a prime Grenada attraction - is exactly where you will find this amazing activity taking place! This estate built in the 1600s that still keeps up local traditions including cocoa stomping, was founded as a sugar and coffee plantation and now includes spices such as nutmeg and cloves Ð something to make you think of Christmas time. Chocoholics must take a tour of the Granada Chocolate Company and taste some local chocolatey goodness that will knock your socks off! Spend some time with the kids at the petting zoo, filled with friendly goats and then enjoy a traditional lunch at the wonderful restaurant on site. So if Grenada is the 'Island of Spice', then Gouyave should be called the 'Nutmeg Village'! Spend a day in this Grenadine fishing village, a lovely attraction Grenada. 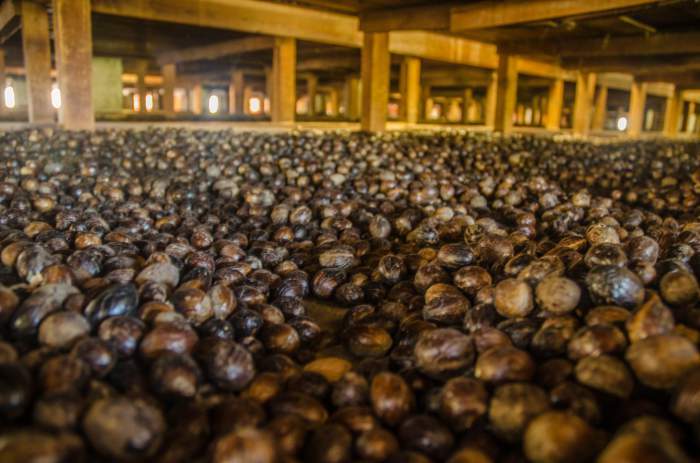 The Gouyave Nutmeg Station produces 3 million pounds of spice that are exported each year. Be enthralled by the scents and taste of home grown nutmeg, taking you back to warm childhood days. Learn how the nutmeg is processed, including the separation of seed and pod. Enjoy a tour of the station and pick up a souvenir bag of nutmeg with words stencilled on the bag that you choose. A perfect way to add some spice to your life! 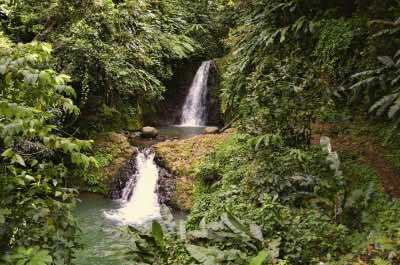 Seven Sisters Falls is a great family Grenada attraction and Grenada point of interest that has you hiking through the lush tropical forests until you reach the fabulous waterfalls. Located within Grand Etang National Park, Seven Sisters Falls is off-the-beaten path and you will be amazed at the superb lush landscape. You will need to hike one-mile or about 45-minutes to get to Seven Sisters Falls following a developed trail. 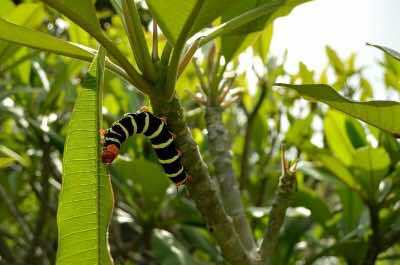 The flora and fauna you will view while hiking includes cocoa, nutmeg as well as banana trees. Once at Seven Sisters Falls you will notice that there are a couple of falls which tumble down into some nice pools of water. 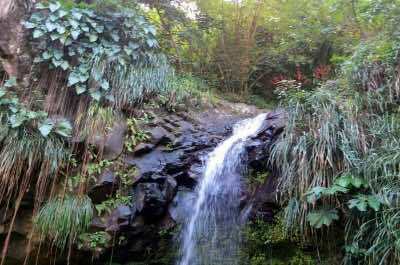 The waterfalls glisten in the sunlight and the vibrant vegetation is candy to your eyes. You will need to decide which pool you want to swim or soak your feet in but no matter which one you choose, you will be pleased with the pleasant temperature of the water. 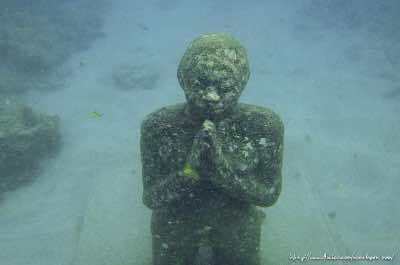 The Grenada Underwater Sculpture Park is one of the more unique Grenada attractions you can experience. Located off the west coast in Molinere Bay, the Grenada Underwater Sculptures Park has numerous sculptures constructed of concrete that supports various forms of marine life and is a wonderful way for you to spend a day scuba diving or snorkeling amongst these figures. The sculptures range from Christ of the Deep to the Cyclist to the Vicissitudes which is a circle of life-sized figures of children holding hands. You will be amazed at the marine life which has called these sculptures home as you view these incredible pieces of underwater art. The Grenada Underwater Sculpture Park is the first in the world and as you snorkel or scuba dive you will notice the extreme details in the figures which look almost lifelike. With over ten sculptures to view, this Grenada attraction is a must see. Fort George is the most significant historical Grenada attraction for you to experience while visiting this island paradise. Located some 175-feet high on a volcanic spine, Fort George is a great example of a bastion-style fort. Fort George was originally constructed in 1705 by the French to protect the harbor below in St. George. 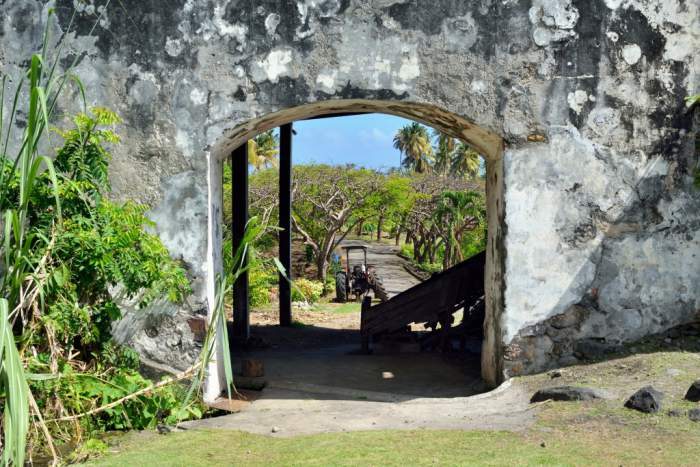 When you walk the grounds of this Grenada attraction you will view a guardroom, two barracks, a parade, the gunpowder magazine and Sally port. 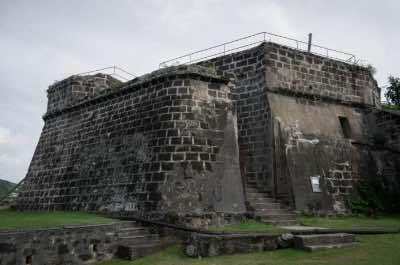 Fort George has been restored to much of its original glory and portions of this Grenada attraction houses the present-day municipal police of St. George. You have uninterrupted views of the harbor, Caribbean Sea and the surrounding tropical areas of St. George. If you are lucky you will even see them fire one of the old batteries of cannons. 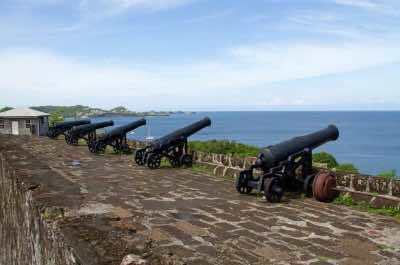 Fort Frederick is one of the best Grenada attractions for you to witness 360 degree panoramic views of St. George and the island. Located atop Richmond Hill in the capital city of St. George, Fort Fredrick was constructed by the French in 1779 and completed by the British in 1791. This Grenada attraction is a backwards facing fort with the main fortifications focused inland and not toward the harbor of St. George. You can view downward from the spectacular stone walls on the sights of St. George as well as the surrounding mountains which are covered with a lush tropical landscape. 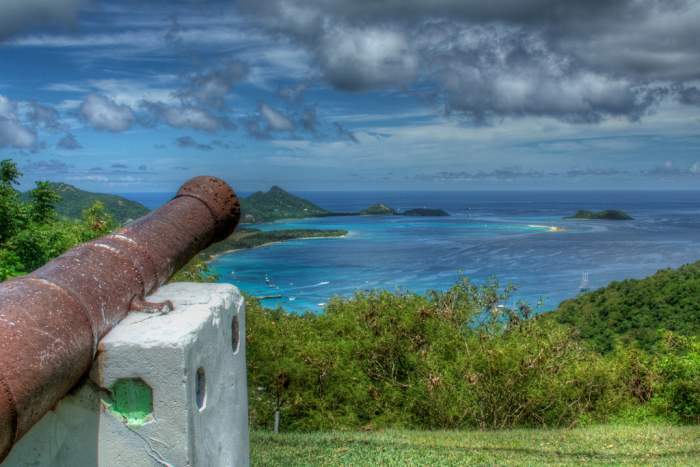 One of the more fantastic views from Fort Frederick is the multi-shades of blue and green of the Caribbean Sea which sparkles in the sunlight. This Grenada attraction is a great example of a restored Caribbean fort with many viewing points for you to snap as many photographs as you wish. 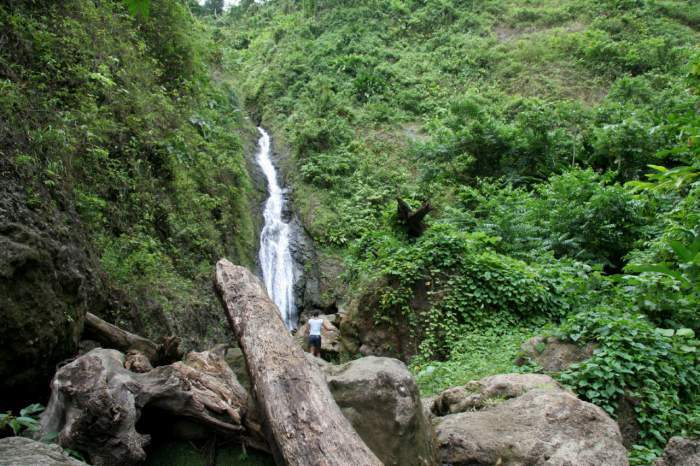 Annandale Falls is a lush tropical Grenada attraction which allows you to experience the tranquility of being in the jungle. Located in the south-central portion of the island near the village of Willis, Annandale Falls is an easy tropical paradise for you to find. Annandale Falls is beautiful with moss and vined covered rock walls surrounding the chute of tumbling water that cascades down into a calm pool. You can dive off the 8-foot high platform or scramble further up the rocks before you jump into this refreshing Grenada attraction. You will enjoy the lush tropical landscape and the tranquility of listening to the water rolling over the rocks and there is a small interpretive center which highlights the vegetation. While you are at Annandale Falls you might also consider visiting Concord Waterfall and Au Coin Waterfalls which are located nearby. 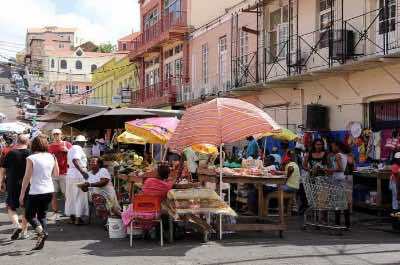 Market Square is the perfect Grenada attraction for you to interact with local vendors in an open-air market. Located in the capital city of St. George’s, the Market Square is packed with local spices, fruits as well as arts and crafts. After you visit Market Square, you will know why Grenada is considered the Spice Island of the Caribbean. You can purchase fresh spices from turmeric to saffron to cinnamon and nutmeg. Your taste buds will be overjoyed when you indulge in a freshly made smoothie of coconut and mango. The smells and sounds of the Market Square will stay in your memory for days and years to come. When you are finished experiencing this Grenada attraction, you can stop by BB’s Crabback where you can enjoy superb Caribbean-style cuisine. Visit this majestic place and discover amazing Grenada points of interest. The Palm Tree Gardens is a special Grenada attraction which puts you right in the middle of a tropical paradise. 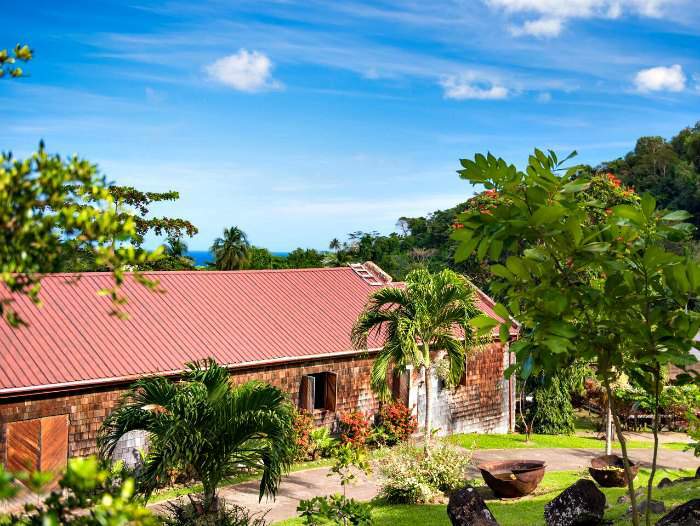 Located on 2-acres near Laura Land overlooking the southeast coastline of the island, the Palm Tree Gardens features the wonderful flora and fauna of Grenada as well as the world. 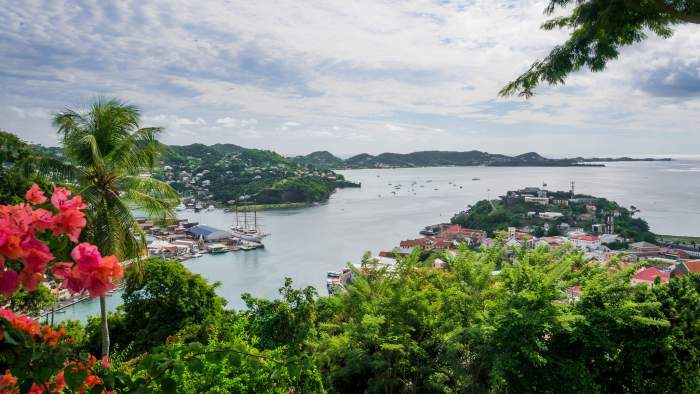 You will be amazed at the 25 different species of palm trees at this Grenada attraction. In addition to learning about the various palm trees you will also experience gorgeous lily ponds, orchids, bromeliads and aquatic life such as baby red-footed turtles as well as numerous fruit trees from around the Caribbean. The Palm Tree Gardens is perfect for you and your family to spend a tranquil afternoon away from the hustle and bustle of the tourist areas. The Grenada National Museum is an ideal Grenada attraction for families and first time visitors to this island paradise. Located in St. George within walking distance of the cruise ship pier, the Grenada National Museum, one of the best Grenada points of interest has multiple exhibits to keep you entertained. This Grenada attraction is housed within the historic 1704 French barracks building and exhibits artifacts of many different time periods of Grenada. You will view exhibits that range from the indigenous peoples of Grenada to early slavery to transportation to the economic factors of plantations. You can also learn about Grenada’s role in whaling and fishing over the years. You can experience the Grenada National Museum in about 40-minutes. Afterwards you can enjoy a quick bite to eat at the onsite café or indulge in fantastic Grenada cuisine at Patrick’s Local Homestyle Cooking Restaurant. The House of Chocolate is a great Grenada attraction for families and chocolate lovers to experience. 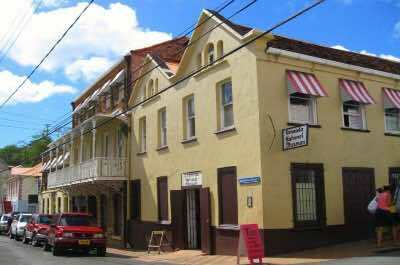 Located in the capital city of St, George’s, the House of Chocolate is next to the Grenada National Museum. You will know that the House of Chocolate means business when you enter the front door and smell the wonderful aromas of numerous tasty chocolate creations. This Grenada attraction is one of the top Grenada points of interest that has a small museum which explains in detail in the history of chocolate in the Caribbean. You can indulge in one of the free samples or you can purchase your favorite sweet delight. The House of Chocolate has a small café with fabulous coffees and there is a small boutique full of special souvenirs. The House of Chocolate is the perfect place to visit after you view the Grenada National Museum. The Susan Mains Gallery, formerly called Art and Soul Gallery Grenada is a fabulous place to view contemporary art of the Caribbean. Located in the west-central portion of the island near the Grand Anse Beach in the Spiceland Mall, this Grenada attraction is a great thing to do when visiting the island. The gallery is bright with natural light which helps bring out the vibrant colors of the paintings created by Susan Mains. The Art and Soul Gallery by Susan Mains carries around 100 pieces of artwork by the 4th generation Susan Mains who prides herself in bringing the people and culture of Grenada to the public. This Grenada attraction also carries art supplies, books on the Caribbean as well as offering art classes and is the ideal place to buy that unique souvenir. When you are finished viewing the colorful artworks you can visit Grand Anse Beach and enjoy lunch at Umbrella’s Beach Bar. Carriacou Museum is a fantastic Grenada attraction for families and you when you are seeking to learn More About in Grenada the island as well as the Caribbean region. Located on the island of Carriacou along the west central coastline of the island, the Carriacou Museum is small and packed with information on the Carriacou indigenous people. You can easily peruse the few fascinating exhibits that feature ancient pottery and ceramics which were found locally on the leeward side of the island. This Grenada attraction also contains several pieces of African relics that you can actually hold in your hands. The Carriacou Museum will not take too much time to walk through and there is a small fee to enter.